This article is found on pg. 21-25 of the June 2012 issue of the Ensign. The entire basis of the LDS Church is that it is a “restored” gospel. They believe Mormonism is the religion that Christ established and was quickly lost from the earth after He died; until it was restored through Joseph Smith. The priesthood is also believed to have been restored from the time of Jesus. The problem is this: The Mormon priesthood has absolutely no resemblance to the Biblical priesthood, and therefore, is NOT a restoration, but an invention. In the Bible, the purpose of the priesthood was for a high priest to represent the people to God and make sacrifices to atone for their sin. 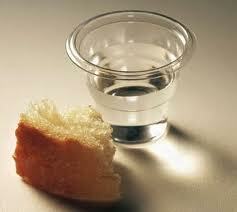 The high priest was the only one authorized to make sacrifices to God on behalf of the people. Exodus 28-29 explains that only men in the tribe of Levi can be priests. Priests serve in the temple – setting things up, cleaning, etc. Only men in the Levi/Kohath/Amram/Aaron line could be high priests. High priests were the ones who performed the sacrifices. Those were the only “offices” of the priesthood. 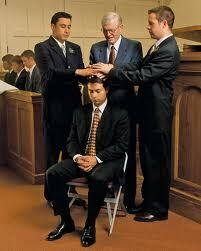 The LDS Church has created more “offices” – such as “deacon”, “teacher”, and “elder”. These were not a part of the Biblical priesthood. Also, every worthy male member over the age of 12 can hold the LDS priesthood, regardless of whether or not they are a descendent of Levi. Jesus is our High Priest – and he is the only High Priest. Mr. Packer speaks to “prospective elders” (those men who are over 18, who for whatever reason have not been given the Melchizidek priesthood yet). “The office of an elder is a calling of dignity and honor, spiritual authority and of power.” Remember, there is no such office in the Biblical priesthood. Everything about the Biblical priesthood pointed to Christ – it held no dignity, honor, authority, or power for the individual who held the priesthood – all the glory was to God - for His mercy and forgiveness. First of all, Packer claims that returning to an “environment” with “the Saints” is what will help someone understand spiritual truths. That is just not true. The only “environment” where one can learn truth is in the pages of the Bible. God wants us to fellowship with other believers so we can love, serve and encourage one another – not for understanding truth. Third, Packer says that the prospective elder’s voice of experience can be powerful in redeeming others. Only Christ can redeem. If He uses our voice to preach the gospel to someone, all the glory is His. I think that Packer’s words only serve to puff up the pride of those who take him seriously. The Bible explains that we are given spiritual gifts, and then led directly by the Holy Spirit. The Holy Spirit can inspire each one of us to use our particular gift the way God wants us to. There is no need for a man, a “priesthood leader” to stand between us and the Holy Spirit. However, Packer explains how callings (assignments) come through priesthood leaders – not directly from the Holy Spirit. The priesthood was NEVER conferred through ordination. Remember, the priesthood was received by being born in the tribe of Levi. There was no laying on of hands, or giving a blessing, or making a covenant. The “power” of the priesthood was God’s power to forgive sins. There is no reference in the Bible to the “power of the priesthood”. Yet Mr. Packer places a burden on LDS men by telling them that they are responsible to be righteous in order for the power of the priesthood to be used. This is what keeps the LDS people under the control of the Church leadership –they must obey their leaders in order to have this power. This can fill a person with pride in their self-righteousness, or fill them with shame and guilt because of their unworthiness… let me explain. Let’s say an LDS Priesthood holder gives a blessing to someone who is sick, and through his priesthood power promises them that they will be healed. If instead of getting better, they die – whose fault is it? The priesthood holder – because either he was unworthy, so his priesthood power had no effect, or he was unworthy to be in tune with the Spirit, and promised something he shouldn’t have. On the other hand, let’s say the sick person got better. 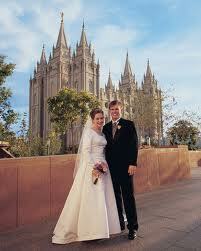 This would be external proof that the priesthood holder was indeed worthy and righteous. Who gets the glory then? He does. Of course God gets credit, too, but not completely because it’s shared with the “worthy” man. I don’t know how to make this any more clear. Mr. Packer, you are described as being non-Christian because your religion has not only created an entirely different “priesthood” than the one God established in the Bible, but it has also denied the finality of Christ’s atonement. Christians understand that the priesthood was inherited by birth as a Levite, and was done away with once Christ came. They also understand that there is only one high priest alive at a time, and that since Christ is the final High Priest, no one else can be a High Priest (unless they don’t believe Christ is risen from the dead.) So you either deny that Christ’s atonement was complete, final, and sufficient to justify those who believe, OR you deny that Christ is raised from the dead because you allow others to hold the office of a high priest – (or maybe both?). Either way, those beliefs are NOT Christian. In the June 2012 issue of the Ensign, the LDS religion FAILS this test. “Where did we come from? Why are we here? Where do we go after this life? The May issue of the Ensign contains all of the talks given by the leadership of the LDS Church during April’s General Conference. This talk was given by the president of the Church, Thomas S. Monson. It is found on pg. 90-93. 1. Where did we come from? LDS Answer: A previous existence as literal spirit children of God. 2. Why are we here? LDS Answer: To be tested to see if we will qualify for the blessings of heaven. 3. Where do we go after this life? LDS Answer: We want to earn a celestial glory to be in the presence of God. For this article, I want to focus on the second question, “Why are we here?” Monson repeats the concept many times that we are here to become worthy for what God holds for us in the next life. He doesn’t always say the word “worthy”, but he uses terms and phrases that mean the same thing such as “qualify”, “become perfect”, “successfully cross the finish line”, and “earn”. First, our Creator actually “CREATED” the earth. To say He “fashioned” the earth implies that He merely molded it, or gave shape to it. Second, there was no “veil of forgetfulness” because we did NOT exist previous to our earthly existence. Third, and on the topic of Monson’s “worthiness”, our purpose here is not for a “time of testing” or to “prove ourselves”. If that is the case, then everyone has failed. Absolutely no one will qualify for presence in God’s glory. We cannot “qualify” by keeping God’s commandments. We get into that “house” spoken of by Jesus by grace alone – being justified through our faith alone. See how this says we have already been justified? We are already seen as perfect… we don’t have to “become” perfect, or “become” justified. In 1 John chapter 5 is God’s witness to us that if we believe in the Son, we have eternal life. God does not witness to us that he will provide help for us to achieve eternal life, He says that those who believe HAVE IT now. When the Bible speaks of “eternal life” or being “saved”, it is referring to living in the presence of God, with all the blessings of heaven. The Bible says these blessings cannot “be earned” like Monson says. In the May 2012 issue of the Ensign, the LDS religion FAILS this test.